The Columbia River Gorge: Carved out about 2 million years ago. 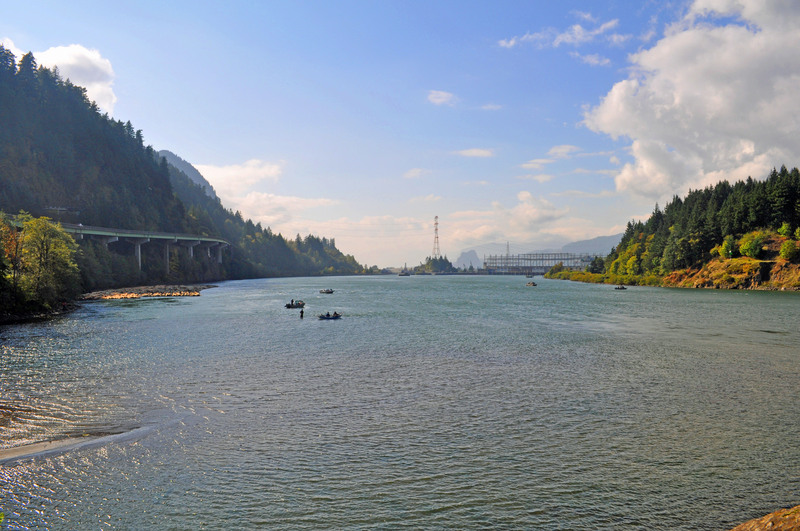 Bonneville Dam (center): Initially built in 1938 with a second powerhouse completed in 1981. Modern Interstate 84 (left): Constructed in approximately 1963. Amazing how it can all come together in one beautiful picture.